The application gets a list of comma separated account codes which need to be looked up in an Account table using the IN clause in a dynamic query. The application can not use prepared statements or stored procedures. The objective is to minimize the risk of SQL injection. In this post we will discuss potential SQL injection using dynamic SQL and using an SQL server inbuilt function named QUOTENAME() to minimize the risk of SQL injection. A – The actual value ‘ABCD’ is terminated by a single quote (which is escaped here in order to make it a proper SQL statement) and then with a ending bracket and a semicolon making the end of the select statement. The subsequent drop statement become now a qualified correct statement to be executed. B – The DROP TABLE statement is now terminated by a semicolon followed by double dashes commenting out any possible subsequent statements which might get added by dynamic SQL formation. NOTE: '); closes the original statement and then a second statement (drop table) follows. QUOTENAME() function on a value delimits the value with a character (for example – a single quote) which can also be specified in the function. So, even if the value contains some other characters like quotes or semicolons to inject harmful SQL statements, the value is delimited and those harmful SQL statements will now become part of the string to be searched in the table rather than valid SQL statements to be executed and causing harm! Below is the same query with all the values enclosed in QUOTENAME() with a single quote as delimiter. So, the client application can split the list of values and enclose each value in QUOTENAME() function before sending the dynamic SQL to SQL server. NOTE – ”); can not close the original statement because the single quote is escaped. So – what is the difference? Its just a single quote – highlighted in red below. QUOTENAME() delimits the whole ‘ABCD‘); DROP TABLE Account; –’ with single quotes and in that process escapes the single quote right after ABCD which would have otherwise terminated the string to ABCD which would be then terminated by ); followed by execution of DROP TABLE. It will use Eclipse IDE – this means more seamless usage of TFS via the eclipse-TFS plug in. It is a relief as I am not a big fan of the TFS integration capabilities of TIBCO BW Designer at this point. Note – In my BE installation, I didn’t find the above jar files, I copied them from other TIBCO products installation folders. 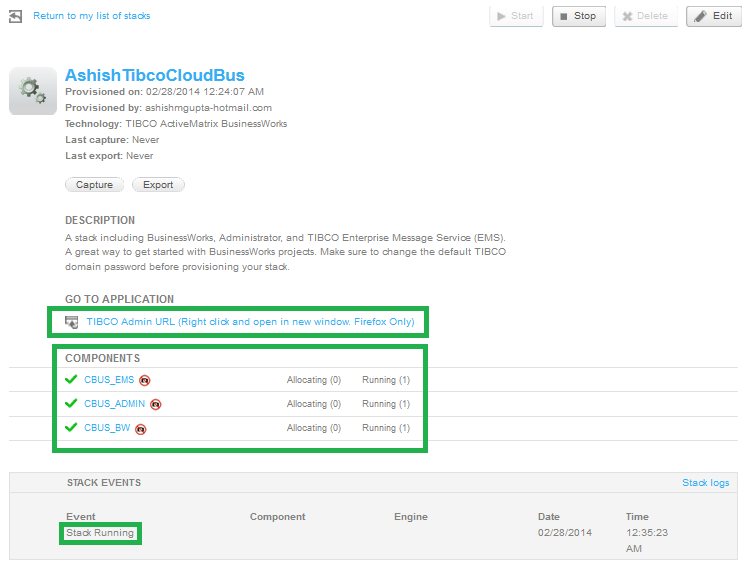 TIBCO Cloud Bus – At a glance and more…. In the below screenshot, look at the URL closely and you will notice the highlighted Amazon AWS. 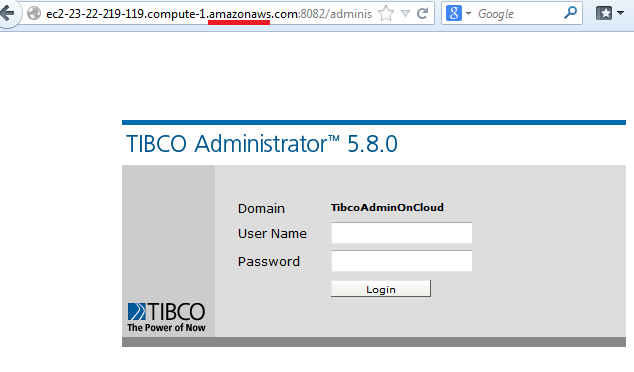 Yes – this is the TIBCO Classic Administrator hosted on TIBCO Cloud Bus which leverages Amazon Web Services for Its cloud computing platform. 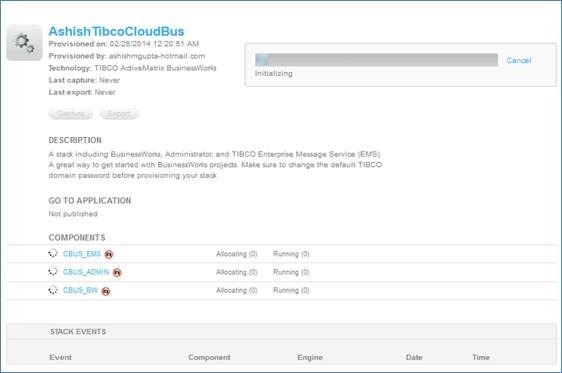 If this catches your attention – read on…..
TIBCO Cloud Bus is a subscription-based Integration Platform-as-a-Service (iPaaS). What? Another “As-A-Service” buzzword? Simply put – iPaaS allows integration between cloud to cloud applications and also between cloud to on-premises applications. 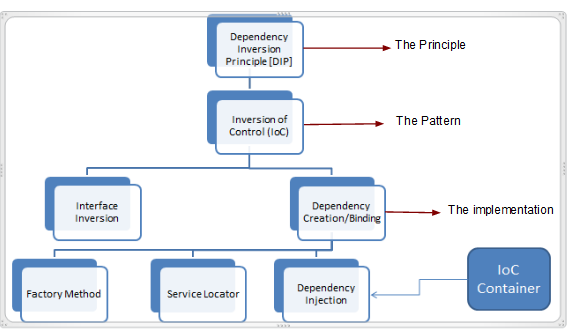 Cloud to on-premises application integration is important because financial services companies which need to follow many security and regulatory compliances might need to keep some applications in house on as well as want to keep other applications hosted on TIBCO Cloud bus with seamless integration between on premises and cloud apps. Hosting the apps on cloud means you don’t need your IT infrastructure team to set up an environment for you to deploy your application. 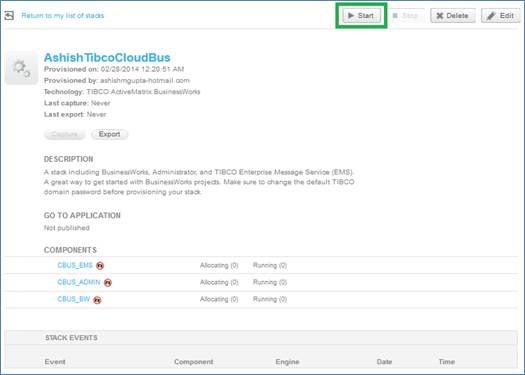 In TIBCO cloud bus, you can provision your own TIBCO environment in really really short time before you quickly deploy your applications. 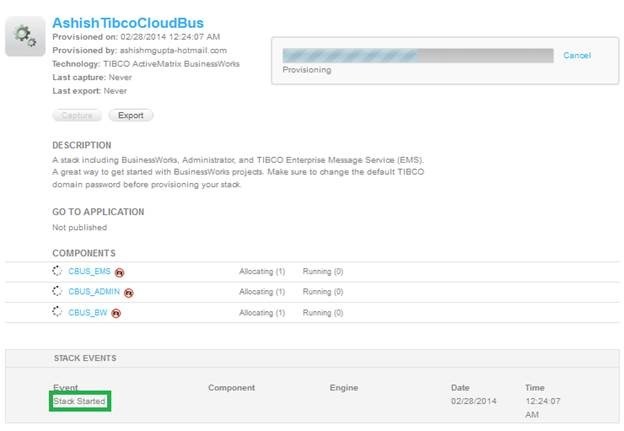 TIBCO Cloud bus can increase/decrease the number of machines that sit behind the services. It knows what the load on the application is and then automatically increase/decrease the horsepower required for the application. 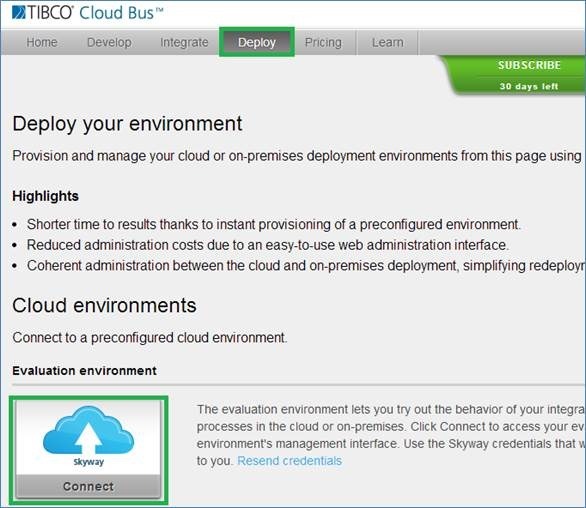 For the connectivity from the TIBCO Cloud Bus to on premise TIBCO infrastructure , TIBCO Cloud Bus has to connect through VPN gateway from the public cloud to company’s datacenter. This would involve setting up VPN tunnel at company’s end which may involve company’s IT as well. At the time of writing this, I have two areas to be research in TIBCO Cloud Bus. Will edit this post when I have done some more research – hopefully with some answers. How cost effective is TIBCO Cloud bus VS on-premises TIBCO setup over a longer period of time? Why an organization won’t continue to grow on in-control on-premises infrastructure to host TIBCO services rather than using TIBCO cloud bus If it is not saving costs over a period of time. Need some case studies and statistics. How TIBCO Cloud Bus addresses the security concerns when It comes to hosting all the apps on the cloud OR integration between on-premises applications and cloud applications? Need some case studies. All said and done, IMHO, we must acknowledge that cloud computing NOT just a buzzword anymore now. Its for real and here to stay. So when TIBCO, one of the leaders in integration and middleware industry has something to offer in this space, we just need to keep an eye on it – if not necessarily adopting the offering immediately. 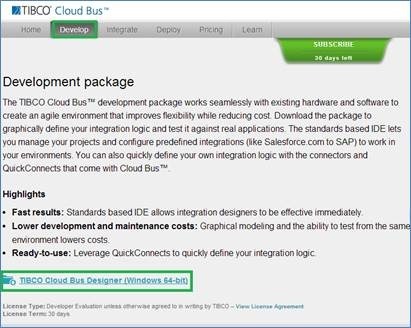 If you are already bored of reading, try TIBCO Cloud Bus yourself (30 days trial) – If you need help in that, I have some help below. 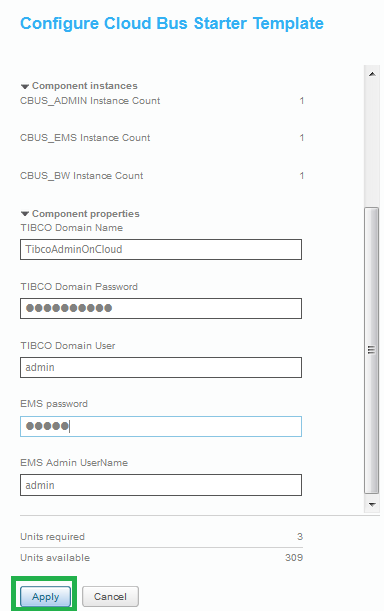 I have steps-by-step instructions on how to set up a TIBCO Cloud Bus environment below. Good Luck and Happy Learning! Note :- For below steps,use Mozilla Firefox for browsing the Cloud Bus If you can. – I have seen issues in IE/Chrome. 2) Enter your TIBCO Access Point credentials. If you are not registered there, register at tap.tibco.com and use the same login and password here. The TIBCO Cloud Business Designer has following in it. a) Extract the zip file. 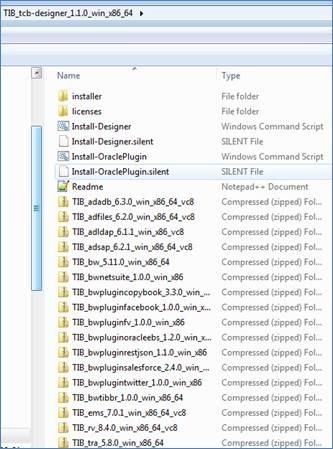 b) Open the silent file, Install-Designer.silent, in a text editor. c) Review the license files in the license folder. If you accept the licenses, change the <acceptLicense> entry key to true in the silent file. e) Optionally update the values for the <installationRoot> and <environmentName> keys. f) Save the silent file. h) After the installation is complete, start TIBCO Designer from the Windows Startup menu: Choose All Programs > TIBCO > Cloud Environment > TIBCO Designer 5.8. 4) Click on the deploy button to see the highlighted “Skyway” button. 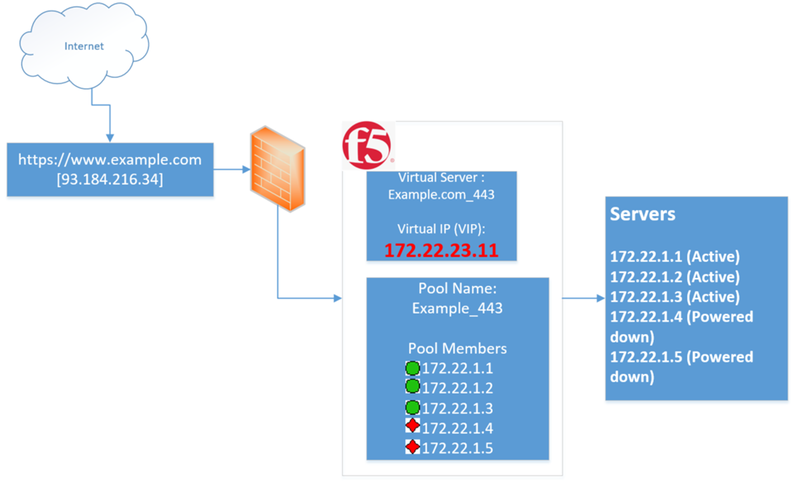 5) Click on “Cloud Bus Starter Template” link to provision the BW, EMS and admin stack. 7) Clicking on “Proceed with Provisioning” will ask you to complete the required fields. 9) I put the below values and click on Apply Button. Then click on the “Proceed with Provisioning” button. 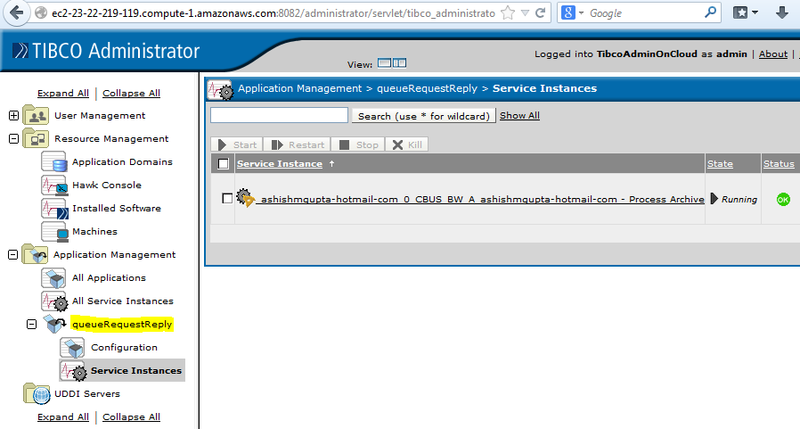 14) If you click on the “Tibco Admin URL” link above, the Tibco Admin is opened in a separate window. 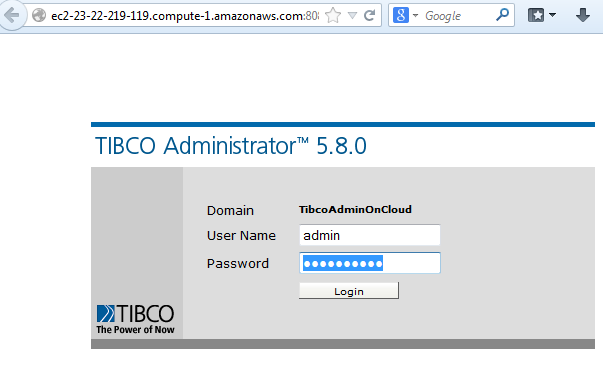 That’s right – this TIBCO admin is running on cloud. 15) That’s it – you can deploy any TIBCO App to TIBCO Cloud bus as just like you did on your on-premises infrastructure – Just like I did – shown in the below screenshot. As a part of Tibco BusinessWorks Process monitor, one needs to add following properties to the bwengine.tra file in the Tibco BusinessWorks machine. Added the above and after that I couldn’t deploy any BW application in our Tibco Administrator. The tsm.log showed the below error each time I attempted to deploy an application. Of course – It was bwengine was not to find that class. 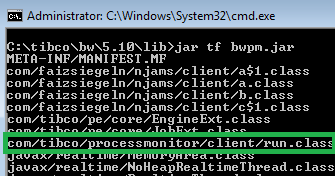 Started looking into which jar would contain this file and It turns out to be bwpm.jar which comes as a part of BWPM install package. Adding that bwpm.jar to C:\tibco\bw\5.10\lib resolved the issue and I could deploy BW apps to BW classic admin without any issues. Solution :- Check If at least Microsoft® SQL Server® 2008 R2 Service Pack 2 is installed on the SQL server. If not, install it. 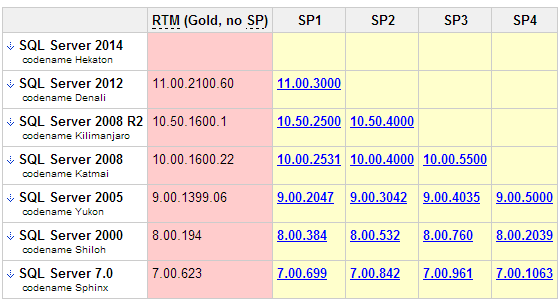 If SP2 or Higher (e.g. SP3) is already installed and you still see the same issue – problem is something else. How to check If at least SP2 is installed? We should always update latest service packs on the SQL server – not only for this issue. However, If you couldn’t and you had to live with current database server install – try using the below attribute in your TRA files. 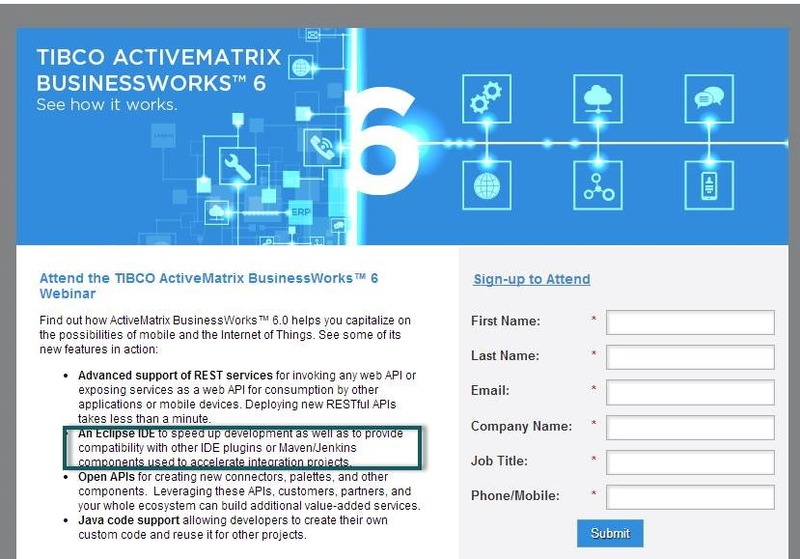 If you are trying to test connection from the Tibco BusinessWorks Designer, add the above attribute in your <TIBCO_HOME>\designer\5.8\bin\designer.tra file. If you want to deploy this change, add the above attribute in your <TIBCO_HOME>\domain\<Domain Name>\application\<Application>\<Application>.tra file and restart the service instances of the application. This same issue does not happen when you connect to Sql server 2005. That’s weird! 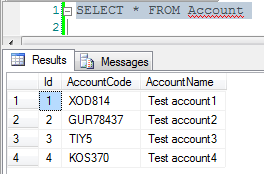 Sounds like somebody broke something in Sql 2008 R2 and fixed it in SP2. Version number for SQL server in RTM and service packs. Looking at more closely on the script, I noticed that the the script I created from the job on the Server1 also has the login which I used to login to Server1. This login is different from the one I was using to run the script on server2. 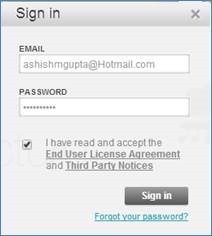 See the highlighted login in the below screenshot. Once I changed the script to put the login I am using to run the script on server2, the script ran fine and the job got created in the Server2. Maximum connections exceeded!!!! – How to know who are logged on to a server and not letting you in? All you need is the PsLoggedOn utility from sysInternals (now owned by Microsoft). Another reason we should all love Mark Russinovich and SysInternal tools. Extract the zip file to a folder. Open command prompt and navigate to the extracted folder. Run the following command. Keep the \\ and replace the MachineName with the fully qualified name of the machine where you want to see who are currently logged on. 5. You will see who are logged on to that machine. This saves you sending emails to a group to find out who are logged into the server. Rather – because you know who are logged in, you would ping/email those specific users, asking them to log off.